“Overqualified” is the last word that a job seeker wants to hear. First of all, it’s hard to pinpoint why the job interviewer feels you are too qualified for the job. Do they feel it is beneath you? Do they feel that you are too old or mature for the job? Is overqualified code for “I don’t like you”? Most often (and when the interviewer is being sincere), overqualified means that the job is at a lower level than your previous experience or your education places you. It means that the interviewer feels that in just a short while you may become restless in your job and begin to look for other opportunities, or want advancement faster than they can offer it. Usually, they simply don’t want to waste your time, or theirs. While this is generally a compliment of your abilities, being overqualified in a tight job market means you are left jobless for an extended amount of time. It means that even though you know you are overqualified for a job, you may be willing to take a step or two back to feed, clothe, and house your family. It also means you may have to dumb down your resume in order to get the job you want. I personally went through a very tough period after college where I was overqualified for all entry-level jobs and not experienced enough for jobs where I had an adequate education. 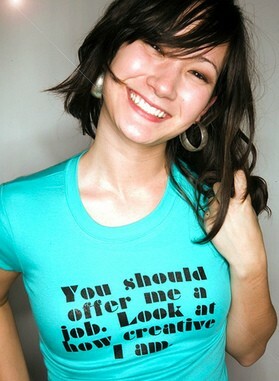 Eventually, I found a job with a small company for an employer with a huge ego who was not threatened by my education. Even though I hated the job, I remained for a couple of years until I had the experience and education to move up. It has been suggested that if you are too qualified for the jobs you are seeking, you might want to change industries altogether. Still, after 2 years of job searching, a close relative of mine severely edited his online resume and suddenly the calls started flooding in. Initially, it seemed that no recruiters were willing to interview him because his resume signaled that he had a great deal of experience and might want big money. Once he was passed on to the actual employer however, he handed in his complete resume and landed a job rather quickly. Another relative who was beginning a career as a nurse was encouraged to leave off all unrelated experience and education from her resume in order to land a job. She got no offers, probably because it looked as if she had done nothing for her entire adult life. When she finally did land the job she wanted, they happened to have one of her older resumes on file that included a full work history and education. Therefore, I guess the moral of this story is to be careful when dumbing down your resume in order to get a job. Resumes that don’t oversell you may get you in the door of some companies, but to land the job, you need to be truthful and honest because character is more often sought over experience and education. But What If They Think I’m Too Qualified? 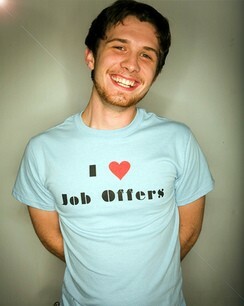 Job Hunting In A Recession: Does it Pay To Undersell Yourself?